The CDU (Christian Democratic Union) and its Bavarian sister party the CSU (Social Christian Union) together scored 33 percent of the vote to win a plurality in the election. — tagesschau (@tagesschau) 25 сентября 2017 г. However, in terms of historical perspective, the CDU/CSU alliance sank to an all-time low since 1949. Four years ago, it produced a far more convincing result with 41.5 percent of the vote. The SPD (Social Democratic Party) came in second with 20.5 percent, its worst post-war performance as well. In den Bundestag sind 709 Abgeordnete gewählt worden. — MDR Aktuell (@MDRAktuell) 25 сентября 2017 г. The newly elected German parliament will see a significant expansion, from 631 seats in 2013 to 709 in the next legislature, according to the estimates published by the official electoral authority. Merkel’s CDU (Christian Democratic Union) will keep 200 seats, 55 fewer than it had previously. Its Bavarian ally, the CSU (Christian Social Union), lost 10 seats, taking 46. The centrist SPD (Social Democratic Party) has also lost ground and will take 153 seats, as opposed to 193 in the outgoing legislature. The right-wing Alternative for Germany (AfD) is entering parliament for the first time with 94 deputies, while the FDP is making its return with 80. A total of 69 seats went to The Left party, and 67 to Alliance 90/The Greens party. 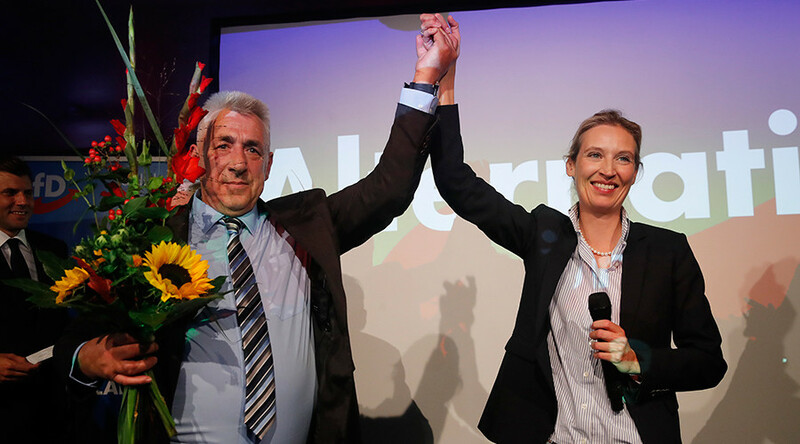 The anti-immigrant party AfD made a breakthrough, commanding 12.6 percent of vote. It is the first time the AfD has secured MPs, with the party failing to enter the legislative body back in 2013. The party’s political success appears to not sit well with some Germans either. “It's ridiculous, if you think about it, in my opinion it's a country that started two world wars,” a young man told Ruptly, commenting on the AfD election result. “There's no guilt but there's always responsibility, and now we're going to have 90, I think it's up to 90, well I say openly racist people, in the Bundestag. And that's a shame for this country in my opinion," he added. The current elections appear to have ended in failure for the Social Democrats (SPD), who only gained around 20 percent of the vote, their lowest return in the last 20 years. However, even their losses look like turning out to be smaller than those of Merkel’s CDU, as the SPD lost 5.5 percent of votes compared to the last parliamentary polls, while for the CDU this figure amounts to as much as around 9 percent. The SPD leader, Martin Schulz, meanwhile admitted defeat and announced that it was a “bitter day” for his party. The elections were successful for the Free Democrats (FDP), who will now enter parliament with 10.5 percent support. Back in 2013, the party failed to clear the 5-percent threshold and did not enter the Bundestag. 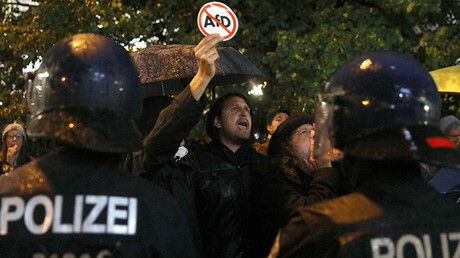 Established in 2013 as a Euroskeptic party, the AfD became increasingly popular during the 2015 refugee crisis as it hijacked the anti-immigrant and anti-Islamist agenda, emerging as a right-wing populist force. Following the publication of the exit poll results, Merkel gave a speech vowing to win back voters from the AfD. Merkel also said that her party now has two coalition options, naming a potential coalition with the Social Democrats as one of them and giving no details about the second option. At the same time, the leader of the Social Democrats, Martin Schulz, announced that his party had decided to “go into opposition” to prevent the AfD from leading the opposition in the parliament, thus ruling out a potential coalition with Merkel’s CDU. The leader of the Free Democrats, Christian Lindner, criticized the Social Democrats for their decision and said that his party would not be dragged into the coalition by the simple fact that the SPD refused to join it. 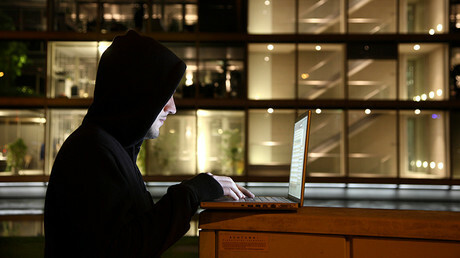 However, he said that the FDP is open to any coalition talks.